Rev. Danny Wayne Rogers, Sr. It is with great sadness that the family of REV. DANNY WAYNE ROGERS, SR. of Millbrook, Alabama, announces his passing on Thursday, November 15, 2018 after a brief illness. He was born in Selma, Alabama on March 16, 1940 and was 78 years old. He will be remembered forever by his wife of 40 years, Joy M. Rogers. He is also survived by a son, Danny Wayne (Lauri) Rogers, Jr. of Birmingham, Alabama, and a stepson, Alan (Carol) Berry of Hillsboro, Illinois. Other survivors include two sisters, Betty (Gary) Burden of Selma, Alabama and Carolyn Stock of Pleasant Hill, Missouri; three grandchildren, Sarah Rogers of Washington, DC, Joel (Brittany) Rogers of New York, New York, and Justin Rogers of Nashville, Tennessee; and one great-grandchild, Skylar Gilbert of Louisville, Kentucky. Rev. Rogers pastored United Methodist churches in the Northern Arkansas Conference, including churches in Batesville, Greenbrier, Horseshoe Bend, Marianna, Springdale and Little Rock. Following his retirement from full time ministry in 2004, he served as the Minister of Visitation at First United Methodist, Millbrook, Alabama. He was much beloved by his congregations, and in turn he served and loved them with an abiding passion for Jesus Christ and the Word of God. Danny served in the United States Army and was deployed to Vietnam as part of the 46th Ordnance Detail in 1966-1967. Upon his return home to Alabama, he worked at American Can Company in Bellamy, Alabama before feeling a strong call to ministry. He began his journey to a life of ministry at Baptist Bible Institute (now The Baptist College of Florida) in Graceville, Florida. It was at BBI that he met the love of his life, Joy, and they were married in January 1978. Still feeling God’s call to ministry, Rev. Rogers continued his education thereafter, earning a Bachelor’s Degree from Livingston University in 1981, a Master’s of Divinity from New Orleans Baptist Theological Seminary in 1984 and a Master’s of Religious Education from NOBTS in 1986. Throughout this time, he continued to pastor churches in Alabama and Mississippi and also worked for the Salvation Army for a time. In addition to his abiding love of God’s church, Danny loved Alabama Crimson Tide football and basketball, eating at Cracker Barrel and visiting with those who were sick or lonely. He was always good at finding the right words to say to those in distress and those who needed a friend. He was never afraid to cry, whether for sadness, joy or pride, and he was never happier than when learning of some accomplishment or some good news about someone he loved. He will be missed by all who knew him, most of all by his loving family. Services will be held on Tuesday November 20, 2018 at 2:00 p.m. from Millbrook First United Methodist Church with Rev. 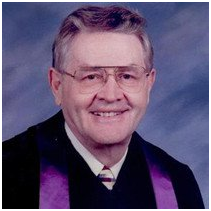 Jerry May officiating with interment on Saturday November 24, 2018 at 11:00 a.m. from Liberty Cemetery in Mulberry Grove, IL with Rev. Jeff Hemken officiating. The family will receive friends one hour prior to services at the church. In lieu of flowers, memorials may be made to Millbrook First United Methodist Church, 3350 Edgewood Road, Millbrook, AL 36054 in his memory.